Camphill Devon employs staff to support people in residential care and supported living, as well as day services and land-based activities. 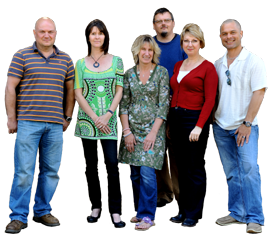 Please click here for current employment vacancies at Camphill Devon. Camphill Devon has a long tradition of welcoming people from all over the world to work as a resident Volunteer for a period of a year or more. Please note we cannot accommodate work experience students for short term internships. You may be looking for an opportunity during a gap year or before you embark on your career path or you may be looking for a career break, exploring new horizons and the untapped potential in yourself. We are currently recruiting volunteers. Contact Anney Adams on 01364 642631 or staffing@camphilldevon.org.uk or fax 01364 644188. Camphill Devon provides opportunities for local volunteers in all our activities including residential care, craft workshops, gardening and farming. Camphill Devon takes the security of your data seriously.